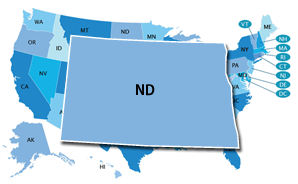 North Dakota has not adopted or made available a definition of college and career readiness. North Dakota state policy allows students to earn dual credit for academic or CTE postsecondary courses taken at their high school, a postsecondary institution, or virtually. All public postsecondary institutions in the state are required to accept dual-enrollment credits (ECS, 2015). North Dakota is not participating in the Early College High School Initiative (ECHSI). More information about schools participating in ECHSI is available at the ECHSI website (Jobs for the Future, n.d.). North Dakota has adopted the National Career Clusters Framework and has organized CTE programs into 19 program areas. These program areas are based on state workforce requirements. In North Dakota, the Individual Learning Plan (ILP) is a tool that allows educators to plan, monitor, manage, and evaluate student achievement by identifying student needs and applying research-based interventions based on student needs. North Dakota's ILP is in use but is not mandated by the state. North Dakota may have a state-specific Early Warning System, but the system is not publicly available.